A story or even a word can suddenly touched you, like a beacon, it shines a light into the darkness, giving strength to lost to carry on. 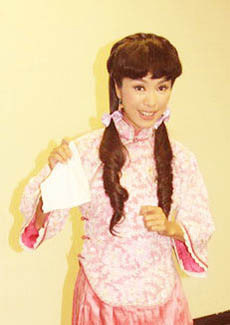 That is the objective of TVB‘s production "One from the heart". Inviting people from all walks of life, be it a person or a story, based on one's own life experience or be in the form of a story, share the emotions and feelings, in doing so, present the truth of one's character. Michelle Yim is one such person. Her boyfriend of many years, Wan Chi Keung contracted nose cancer, Michelle never left him, but instead is always by his side, caring for him. In 2008, she reached a peak in her career when she won the best actress award for her role in "Moonlight Resonance". Michelle said that in order to stand up to adversity, the secret is not to pity yourself but to face it with a positive attitude. Laughter is the best medicine in times of adversity. ＊For the publication of "One from the heart", TVB magazine specially invited me to pen down Michelle story of "One from the heart" to share with the readers. Recently I heard of a story about a little boy and a dog, at the same time, I read a novel about a little boy and a dog. I was very touched by both stories. I heard the story of the boy and the dog from my friends. There was a little boy who loves dogs, he would go to the pet shop to see the puppies, but as his family was too poor to afford a dog, he could only long for one in his heart. One day, the boy saw a very special dog in the pet shop. From that day forth, the little boy would go to the pet shop every day to visit the dog. Even though they were separated by the metal fence, the relationship between the boy and this dog strengthens with each passing day. This caught the attention of the owner of the pet shop, who looked down on the poor little boy, doubting if the little boy will ever have the money to pay for the dog. Even though dog is not expensive, but to a boy from a poor family, it is still a very big amount. The boy asked and pleaded with his mother and eventually, he obtained his mother's permission to keep a dog. The little boy starting saving all of his daily allowance, no matter how difficult it gets, he still manages to save the money. However when the little boy tried to buy the dog from the pet shop, the pet shop refuses to sell it. The little boy asked the owner why can't he sell the dog? The owner explained that because the little dog was born with a broken leg, the dog is crippled, no one would want a crippled dog. The little boy rolled up his pant leg, pointing at his leg, he told the shop owner that he is also a cripple, he wants to take care of the crippled dog. The shop owner was touched by what the little boy said and sold the dog to the boy at a lower price. After hearing the story, I went to the book store to look for this book, but the book that I bought was not the story that I have heard, it was a novel with the same title but different story by the musician WeiRan (韦然). The novel "A boy and a dog" is about the friendship between a lonely boy and a clever dog. 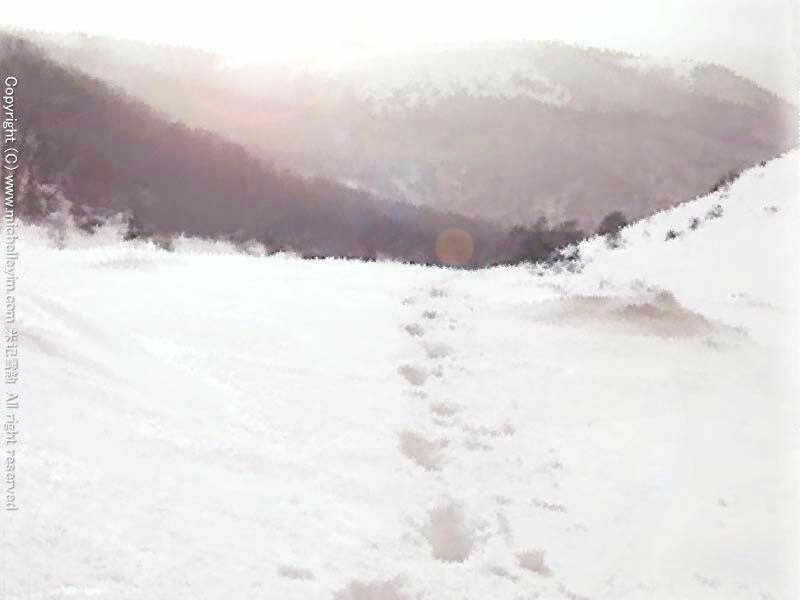 It tells of the boy's journey through life, the hardship that he faces as he grows into a young adult with only his dog for company. This story is really moving. Maybe it is because I cry easily, whenever I read about family ties, mothers who raised little kids, distant relatives who loves and brought up the child, a dog who is the child's only companion, grew up together and later the dog passed away from old age. As I read about the boy withholding his tears as he stands next to the grave of his dog, I too could not hold back my tears. Even though both these stories are very common, they are also very touching, maybe it is the love and concern that is shown in the story, this expression of concern came from love, it is also the source of what emotionally touches a person. I wish for more stories that are able to touch the people of this world. All of us experience different things when we are growing up, sometimes when I talk to my friends, they will always mention about things that they lack while growing up. Now that they are working, they will strive for more power and prestige to make up for the things that they lacked when they were young. For myself, I just wish that time will stop at my childhood, wishing that I don't have to grow up. I have a very happy childhood, my four brothers and I have a great relationship. When we were young, while out at the street, all of them will surround me on all sides, to protect me. Back then, no one dares to pick on us. Of course we have our principles too, not only do we learn how to protect ourselves, we do not pick on others. I remember once there was a nasty girl, who was picking on a child much younger than her, all of us went right up to her to tell her to stop. Not only did we learn how to stand up to injustice, we also learn the importance of unity and the power of our sibling’s love for each other. Whenever I encounter a difficult patch in my life, my family will always gives me the greatest strength and support. My eldest brother is a teacher, back home, he would take over the role of a teacher from my working mom, to educate us. One day, my second elder brother and I went home after school, waiting for us at home was my eldest brother, he picked up our shoes, looked at the soles and then said to us "Why didn't you two come back home after school but went cycling instead?" At that time I was surprised how my eldest became a detective, just by looking at the soles of our shoe, he would know that we went cycling. Until today, I still do not know how to cycle, how could I be cycling then? But of course, I understand that mom put the responsibility of educating us on my brother, he is just being a responsible brother. There was a time when he knew that my maths result was not good, he kept tutoring me on math, eventually I scores 100 marks for that subject. Even though there are areas in my brother's disciplinary methods that can be improved on, but his dedication to this responsibility is worthy for me to learn from him. The positive things that I have learn from him, I will also pass it down to the younger generation. Now that I am an actress, during filming session, I will listen to the seniors sharing their experiences, this has helped me make a lot less mistakes, waste a lot less time. Life's experiences is something which cannot be purchase with money, thus I would also share my experiences with the younger generation just as the seniors have shared theirs with me. It is not easy to act in a martial arts movie. When you throw a punch, how much strength should go into a punch, what kind of expression should go with the punch? 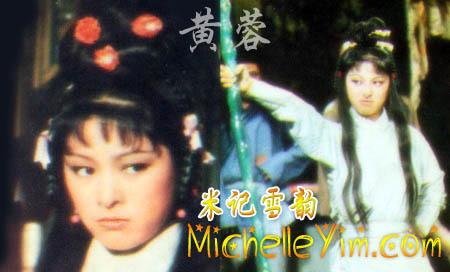 Shortly after I joined the industry, I had a role as "Huang Rong" in the TV serial "The Legend of the Condor Heroes". As this is my first martial arts film, all the actors including myself had to undergo a special month long martial arts training. One month later, the instructor asked that we execute the moves that we had learned, who would had realize that everyone executed the moves very badly causing the instructor to shout and scold everyone of us, that was one of the worst scolding that I have ever received in my life. Initially I was feeling a bit upset, but then the instructor said "Everyone started not knowing how, when I first started, I do not know how to either. Why is it that now I know? But you do not?” This sentence inspired me, I did a self-reflection and I understood why everyone has to go to the classes, understood why when others can execute thirty kicks, I can only do ten kicks. There is only one reason, that reason is because I am not dedicated enough in putting in the hard work required. I then told myself, even if I don't have to execute as many moves as the others, I will still have to practices as hard as them. One month later, the instructor tested our progress, when the other can only execute fifty kicks to the punching bag, I was able to execute a hundred kicks. The instructor praised me and he never scolded me again. Scolding is good, as long as there is a reason for the scolding, to inspire something better in the person. Maybe my self-reflection was brought about by the scolding that I received. Chapter 4 : The tireless martial artist. The opportunity that others can only dream about, has been placed right before me, what he said to me jolted me awake, I must cherish every opportunity that I can get. Thus whenever I get offers to film a movie, a TV serial or even attend a variety show, as long as the time permits, I will accept them all. Not a lot of people get such opportunities like I had. My boyfriend, Wan Chi Keung and I are like social workers among our circle of friends. Whenever they have problems at work, problems in their love life, they would like to consult us and ask us for a resolution. Once a friend told me "If the needle doesn't prick your skin, you won't know the pain. Unless it happens to you, do you still think the problem can so easily be sovled? This time, it really happened to me. When Wan Chi Keung fell sick, I just got the offer to film "Moonlight Resonance". I wanted to turn down the role, but he said not to. He said that by me continuing to act, it gives him the motivation and determination to get better. He also knows that I am a workaholic, I love to act, both of us wants to have our cakes and eat it too and we would consider the situation from each other’s point of view. I was busy with my work, having to move about. There are days when I was so busy that I did not have the time to visit him. Some days when I was very tired, I had the thought of wanted to postpone the visitation to the next day. Whenever I had such thoughts because of I was too tired from working, I would also feel a tinge of regret. However, these are all small matters in life, whenever I see him sick, I would feel like a mother looking at her own sick baby, wishing that it was the me who is suffering and not the baby. When two people are in a relationship, there will definitely be disagreements, however, at this point in time, what is there to disagree about? Everything should be about his health. Fortunately for both of us, we are both optimistic people, since the matter has already happened; we will face it with a positive attitude. He needs to undergo physical therapy, sometimes when he does not have the strength to carry out the exercises, he would asked "May I just do ten?" I would replied "No way! You need to do thirty!" It feels like we are bargaining with each other, we find it quite comical. I would do my best to cheer him up, make him happy whilst every step that he takes towards recovery gives me the motivation to carry on, we depend on each other, encouraging each other through these difficult times. From this incident, I learn the meaning of tolerance, to be considerate of each other and to have a positive attitude in times of difficulties. Now I have even more confidence in helping others, because I have experience it for myself. I have just completed the filming of the TV serial "Beyond the Realm of Conscience" and there is only one word that I can use to describe the show, "beautiful". The head dress is beautiful, the costumes are beautiful, the sceneries are beautiful, the people are beautiful, most importantly, the script is beautiful. But because the script is too beautiful, the dialogs are very elegantly phrased, thus a lot of time is needed to memorized the script. Resulting in all the actors, including myself, with whatever free time we may have, memorizing the script. It is good thing that the filming is finally over. I have started filming for another TV serial titled "Five Flavors of Life", in the show, I had an accident which causes me to lose my memory. I went from the wife of a wealthy man to a woman who only has the memories of a twenty year old. I was very happy to act in this serial, because this is a light hearted drama, the scenes and dialogs are very light hearted and comical plus I am acting as a twenty year old young lady. Nowadays when I am in costume as a young lady walking out from the changing room, strangers will asked "who is that beautiful young lady?". The hairdresser and makeup artist gave me a nickname, "young lady", that made me very happy. Actually, there is a connection between a person's appearance and his mindset. Problems exist everyday of our lives, if you worry every single day, it will show on your face. I am a person who does not have much worries in my life. Everyone will definitely face some problems in their life, no one can run away from it, so why go looking for more problems. One should instead be looking for solutions to these problems, and solve the problem as quickly as possible so as to not have to worry about it any further. Come to think about it, I have never been upset over my work, firstly I am a workaholic, the more work there is for me, the happier I feel. Secondly, I always look for solution to deal with my problems, therefore, why would I need to worry for?